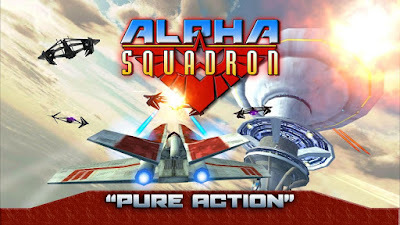 Join up with Alpha Squadron and take on the evil Hadian Empire in this 3D Action flight game. With missions set in deep space as well as planetside sorties versus hordes of enemy fighters and capital ships, you will be immersed in the intergalactic conflict! 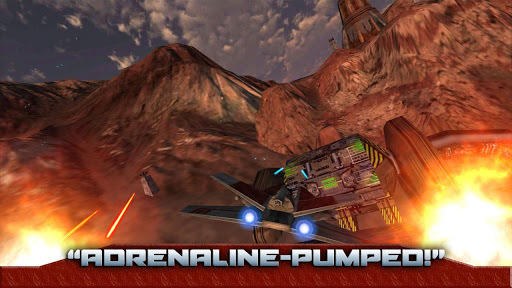 Dogfight with enemy ships amidst beautiful floating cities, desolate desert planets and dangerous asteroid belts as you fight to stay alive and protect your fleet. Dodge the laser blasts as you provide cover for a planetary evacuation, capture an Imperial General and rescue prisoners of war. 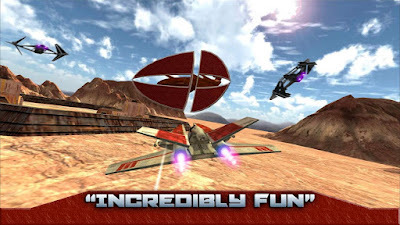 Launch your starfighter through a thrilling tunnel chase in a race against time to stop a galactic superweapon of doom! Awesome cinematic graphics and intense action packed gameplay! Virtual Stick sensitivity now adjustable.